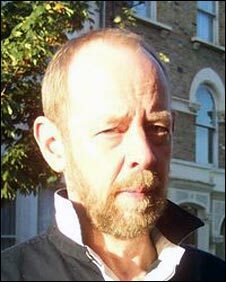 The technology world has been mourning the death of one of its most influential writers, Guy Kewney. Guy died aged 63 on 8 April after battling bowel and liver cancer. He had been writing about technology since the 1970s, including long stints with publications such as PC Magazine and Personal Computer World. He had blogged and tweeted about his illness and, in his final days, his daughter Lucy - herself a technology writer - took over his Facebook page. She informed his 588 Facebook friends of his death with the simple words: Guy is gone. On Facebook and Twitter, his many industry contacts remembered him with fondness. In its tribute to him, technology news site The Register described him as "the man who made Britain love computers". He was a regular contributor to BBC technology stories. Guy interviewed both Bill Gates and Steve Jobs before either was famous but his most infamous interview took place in 2006. He was lined up to speak to the BBC News Channel about a legal wrangle between Apple and the Beatles case, but in a now famous blunder, a Congolese graduate - Guy Goma - who was waiting in the BBC lobby to be interviewed about a job as a data support cleanser - took his place live on TV. The resulting interview has gone down in television history. As well as paying tribute to his eccentricities and indomitable journalistic style, many of his friends and colleagues remember Guy's devotion to his family. He is survived by his wife Mary and two daughters.